Arc Cat joins the Mid-Bore Price War! 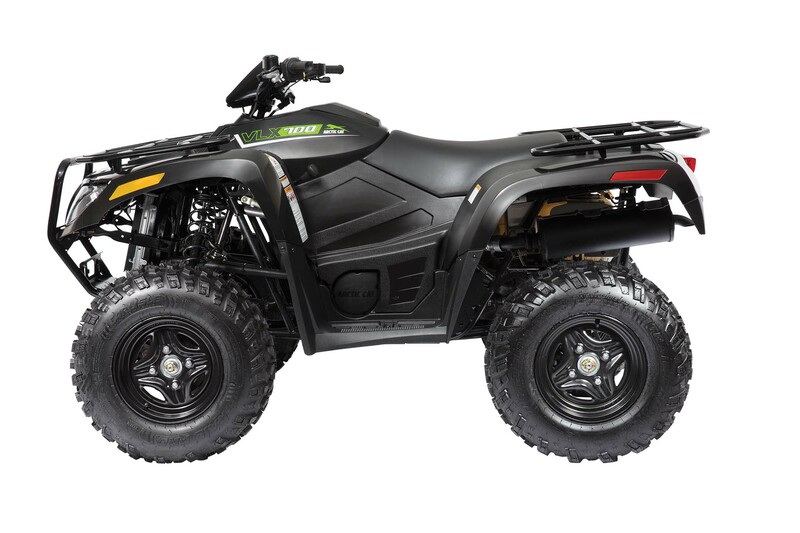 For 2017, Arctic Cat has decided to become a serious contender in the 4×4 value category, with a machine that on paper seems to deliver more ATV for less money than any of the competition, and appears to take direct aim at Yamaha’s Kodiak 700. Arctic Cat’s new 2017 VLX 700 retails for an astonishingly low $5,999! 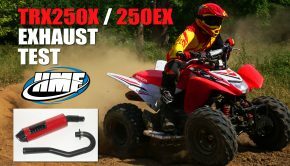 That’s $700 less than the Polaris Sportsman 570, $800 less than the Can-Am Outlander 570, and $1,000 less than Yamaha’s Kodiak 700. The rest of the VLX is assembled in River Falls, MN. 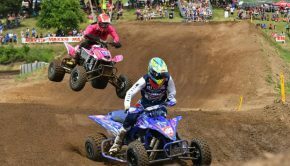 Much of its chassis, suspension, styling, and other components are all based on Arctic Cat’s older 700 design, one of their full-size premium machines until the release of the all-new XR in 2015, which was renamed Alterra in 2016. With a tubular steel frame and dual A-arms found at both ends, the VLX measures in at 48” wide with a 50” wheelbase, and 11” of ground clearance. Featuring preload adjustable shocks, suspension travel numbers are at the front of the class with 10” up front and 11” rear. 25” Carlisle Trail Pro tires come mounted on 12” powder coated steel wheels. Once designed to ride high for a more hulky appearance, the VLX benefits from Arctic Cat’s Ride-In suspension, which was introduced to this chassis later in its life and was designed to lower the machine’s center of gravity for more predictable handling. 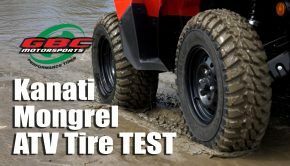 We found the steering characteristics of this chassis to be a bit unpredictable in its early days; something we suspect Arctic Cat has since addressed. The VLX doesn’t come equipped with a rear sway bar; something we felt the original machine could have benefited from. 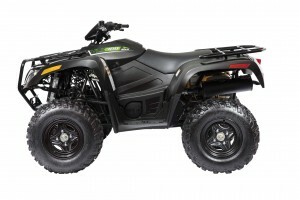 Arctic Cat offers one for the VLX as an accessory add-on. The VLX is slowed by hydraulic disc brakes at both ends. The handlebar-mounted levers activate the front and rear brakes at the same time, while the right, side-mounted foot pedal activates the rear brake independently. The VLX appears to be well appointed for hard work. It features a 2” hitch receiver, allowing most users to take the hitch from their truck to their ATV. Tubular steel racks, in our opinion, still set the standard for getting work done. The VLX racks are rated at 100 pounds front and 200 pounds rear. There’s a tow hook up front along with a tubular steel bumper for added protection. Halogen headlights light up the trail at night along with a single tail light/brake light combo. Instrumentation has been dumbed down a bit to a cluster of lights indicating neutral, reverse, park, and engine malfunction; again, very similar to the setup on the entry level Kodiak. 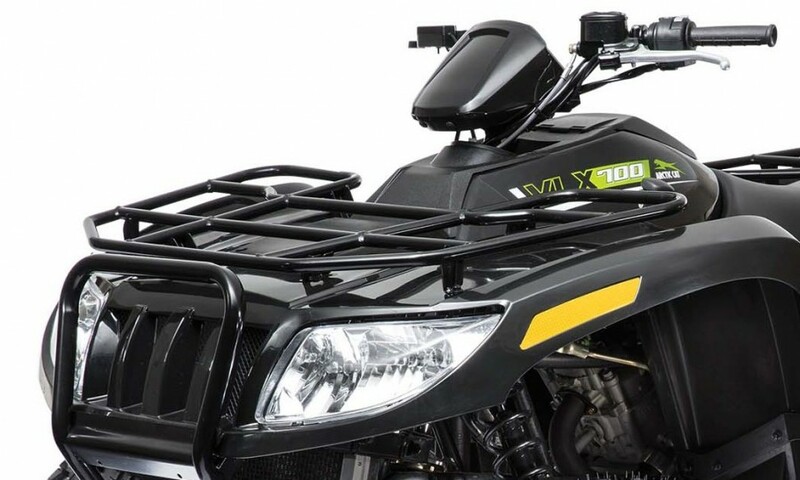 Arctic Cat will be offering a line of accessories for the VLX including the sway bar, which we would add, plus a winch, gun scabbard, and undoubtedly more. The VLX appears to be well appointed for hard work. It features a 2” hitch receiver rated to tow 1050 pounds. Tubular steel racks, in our opinion, still set the standard for getting work done. The VLX racks are rated at 100 pounds front and 200 pounds rear. 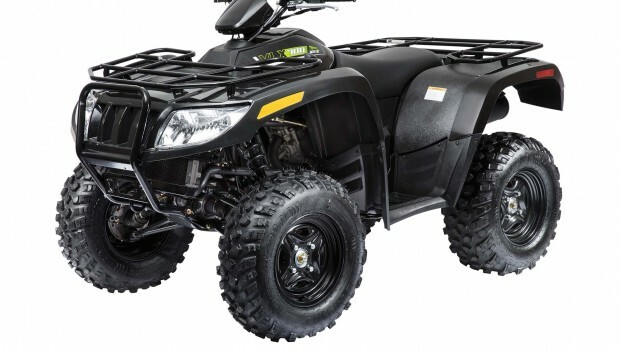 While we would need to throw a leg over the new VLX to know if it is a true contender for king of value in 4×4 ATVs, it certainly looks promising. 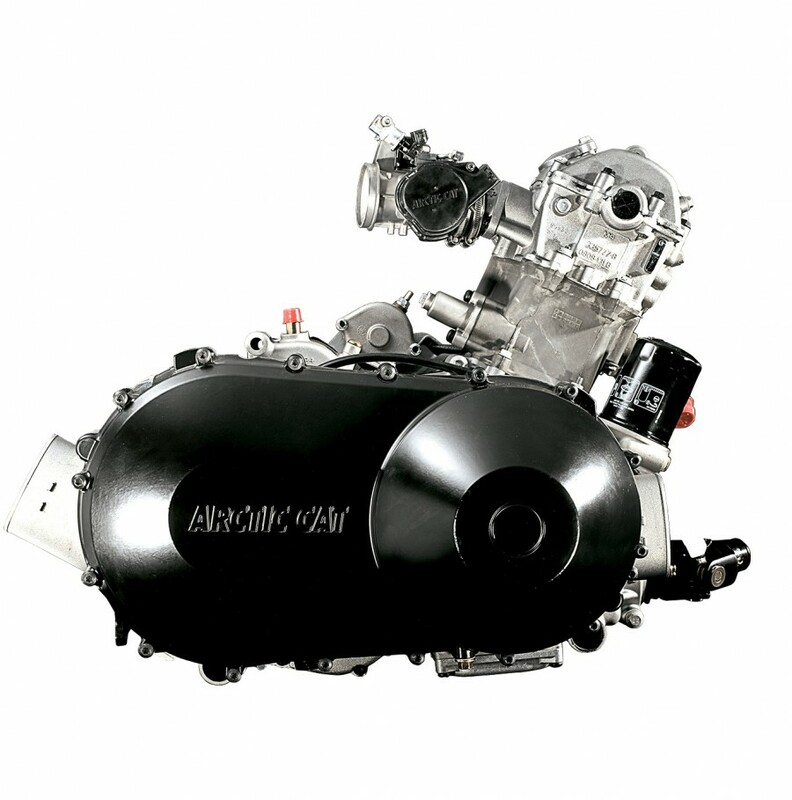 The VLX is shipping now, so look for it in Arctic Cat dealerships soon. 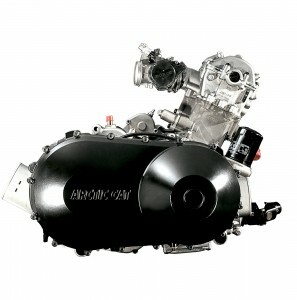 To check out the VLX’ complete specifications or to find a dealer near you, visit arcticcat.com.